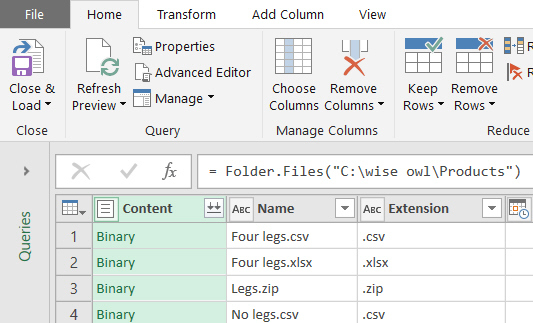 This page shows how to combine all of the CSV files in a folder into a single one - the steps are shown under separate headings below. 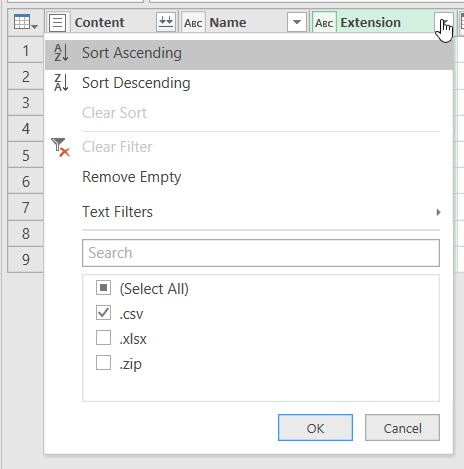 Choose this option in Excel 2016 (in Excel 2013 it's the same option, but you need to look on the Power Query tab of the ribbon). Find and choose the folder containing your files. Choose to go into Query Editor. I've included Excel ones and a zipped file in my folder, so I'll need to filter these out. Exclude any other file types. Select the columns you want to keep, then right-click on them and choose this option. Binary refers to the contents of the file. Providing your files have the same format, it's this easy! The first row should be promoted to be column headers. Choose to use your first row of data as column headers. 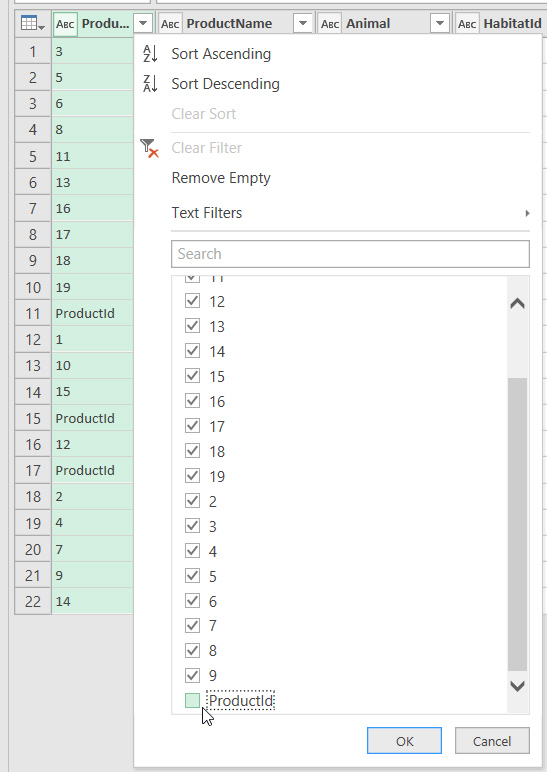 Click on the arrow to the right of (say) the ProductId column, and choose to omit all rows where there's a text column heading, not a number. You need to change the number columns to contain ... numbers. Turn the text entries into whole numbers. 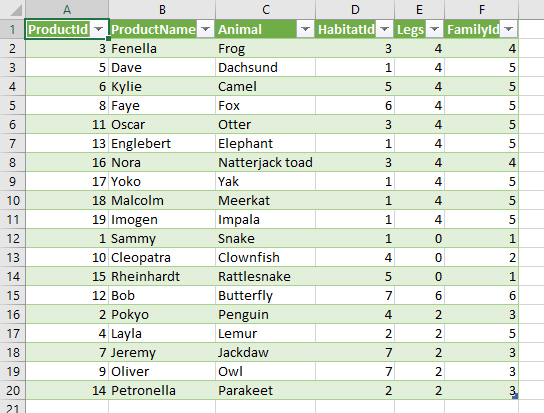 You'll need to do this for the ProductId, HabitatId, Legs and FamilyId columns. 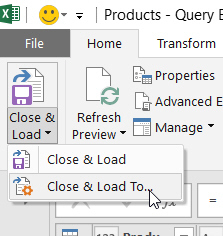 Choose to load your data into Excel. 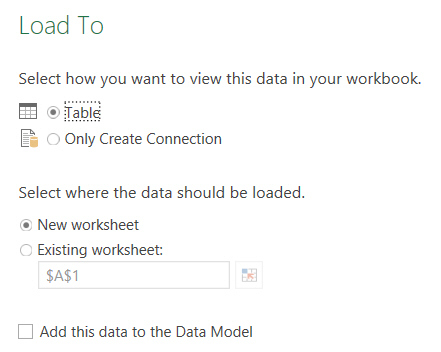 Choose these options to load your data into Excel. 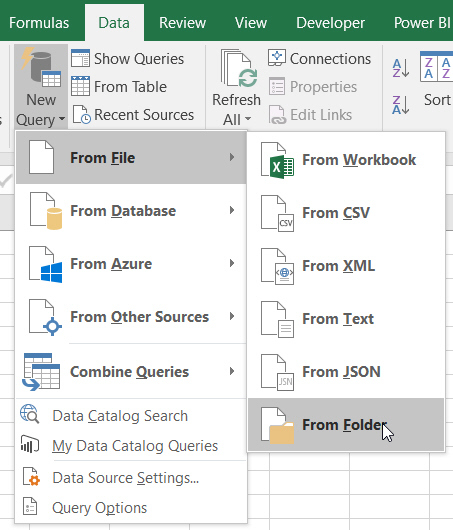 The beauty of this is that you can now refresh this query at any time, and it will import and combine data from all of the CSV files in the folder you specified.